In 1827 explorer and botanist Allan Cunningham, his six colleagues, 11 horses and some dogs, crossed the Gwydir River at Bingara. After camping beside the River that night they continued their journey northwards. Below are news articles detailing his journey, including extracts from Cunningham’s log exactly as they appeared. DISCOVER GWYDIR – Cunningham’s Trail – A Summary. 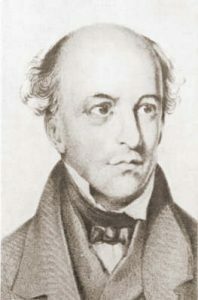 Cunningham’s Trail May 21, 1827. 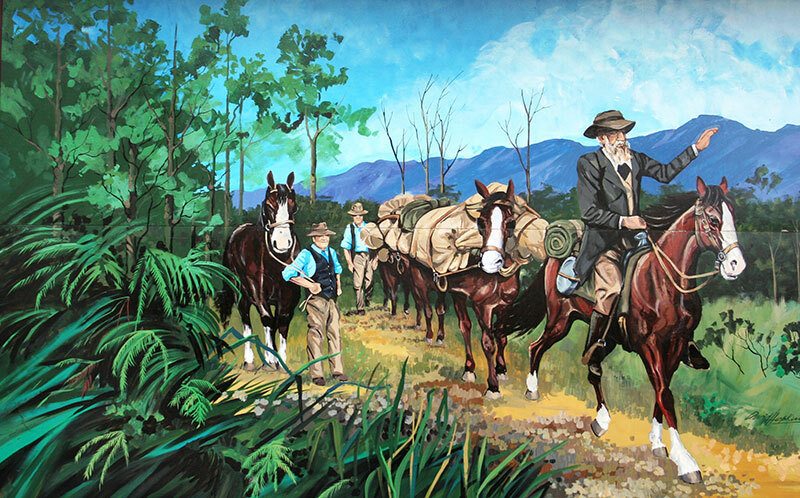 Mural of Allan Cunningham’s European discovery of the Bingara district. Painted by David Hopkins on the wall of the Roxy complex.